Much of the critique of patent systems for hindering research has focused on the scope or definition of what is patentable. We suggest, rather, that by focusing on the exchange of existing patent rights, significant improvements in freedom-to-operate can be achieved regardless of the state of patent reform. Historically, in other industries, when IP congestion has threatened productivity, both government and industry groups have intervened, forming collective rights organizations such as patent pools and royalty clearinghouses that have provided freedom to operate with substantial savings for whole industries. Furthermore, today’s advances in information technology have created new tools, “IP informatics” and “online IP exchanges,” which provide interesting new organizational possibilities for collective intellectual property rights organizations. 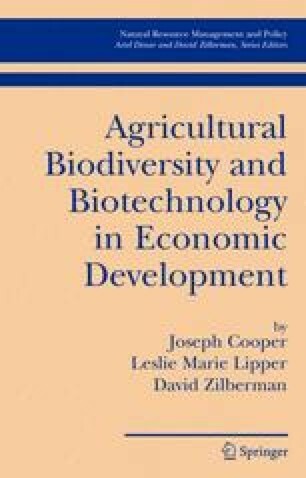 The goal of an “intellectual property clearinghouse” for agricultural biotechnologies would be to reduce transaction costs and other market failures that hinder the exchange of IP, creating pathways through the patent thicket and giving freedom to operate with proprietary biotechnologies.